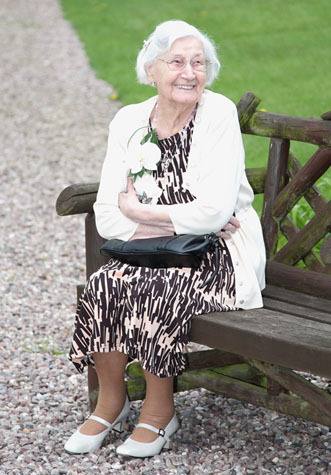 The inspiration for Happy Feet Footcare came from my 95 year old Grandma Gladys who through age and health issues struggled to confidently leave the confines of her home to see a Podiatrist and take care of her ageing feet. The sheer logistics of such a need encompassed organising appointments, taxis to and from a clinic as well as the worry of any treatment needed, even asking for a chaperone became a task in itself. With this in mind I investigated if these needs were being experienced by other people. My investigations highlighted that the NHS was sadly overstretched leaving a void for a private footcare providers to fill. My mind was made up and I studied to make Happy Feet Footcare a reality, a mobile foot clinic that would bring care back to those who needed it in the comfort of their own home. Lots of hard work resulting in a Diploma qualification from Stonebridge College, and a further Advanced Diploma qualification from The College of Foot Health Practitioners along with a genuine desire to educate, improve and care for the Borough's feet soon brought Happy Feet Footcare from passionate idea to successful business. I am a fully qualified Foot Health Practitioner providing a quality and caring mobile foot care service to residents in the Borough of Blackburn with Darwen, Lancashire. Clients include young and old, those with diabetes, arthritis and mobility problems as well as those who love to have their feet pampered. I am fully insured, CRB checked and a member of the Accredited Register of Foot Health Practitioners and the Alliance of Private Sector Practitioners. Please click on the foot menus above for more information about foot care, my services, products and customer testimonials. For further information, please contact me through any of the methods listed on the Contacts Page. I am waiting to make your feet happy. "The human foot - the most complex engineering device ever made"
Grandma Gladys inspiration behind Happy Feet Footcare. Went to the Lord 7.4.14.
practical until they can be made unbreakable".